Sun Sun Sun!! Another incredible day up in Maine. We love these type of days. Normal schedule was in full effect. The day started off as we usually do. Koop walked by the dorms at 7:45 and blew his whistle to wake up our campers & counselors. Everyone made their way up to breakfast. As always, the younger rookie campers sprinted up the hill to be first in line at the dining hall. A few minutes later, the professionals trotted along, not really caring where they ended up in line. Lastly, as a single unit, the seniors came strolling up, some of them barely awake. Cheesy eggs, hash browns, sausage, blueberry muffins lined the buffet line. Off to the side, our usual yogurt & bagel bar stood proudly! As campers sat down, Sportscenter was turned on so that they can see some of the results from the previous night’s sporting events. From breakfast, everyone made their way back to the dorms for our 15 minute daily cleanup. Remember, the dorm rooms with the best room scores gets to go into town for ice cream at the end of the week on our brand new pontoon boat. Yes, I guess we have to bribe our campers to clean up, but hey, it makes them feel responsible for the tidiness of their room and the need to be organized & clean! At 9am, the activity whistle blew and the day was fully underway. Some campers made their way to the gym for a basketball period. Others headed up to the fields for baseball, field games, volleyball, soccer or lacrosse. Archery was going and so was arts & crafts. The waterfront was busy, with pontoon boat fishing, canoeing, and waterskiing periods all taking place. It was a really fun morning and there was tremendous energy around camp. First period is a shorter period, so it’s always minors. Majors happen 2nd & 3rd periods. Once 10am rolled around, some campers were off to major periods (Basketball, Ice Hockey, Soccer, Lacrosse & Baseball), while others had more minors. As with every single period, the waterfront was running! Majors continued into 3rd period and then it was time fro lunch. What might be my all time favorite camp lunch was today. Grilled cheese & tomato soup!! Not much better than dipping that crispy golden brown melted cheese sandwich into a nice bowl of warm tomato soup. And what better to wash it all down with than a glass of our famous chocolate milk. Don’t worry though, our daily salad bar & fruit bar were around also! Rest hour was definitely needed today. Even I took a solid 15 minute nap. 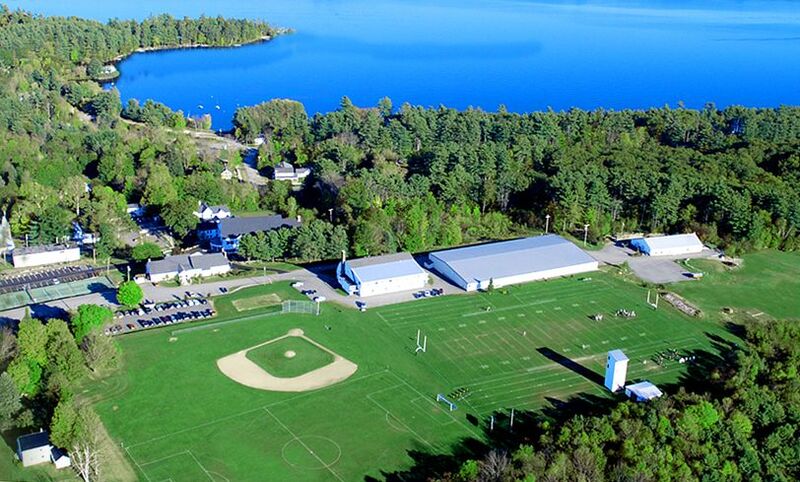 Every year, Indian Acres Camp hosts a few intercamp tournaments throughout the year. Today was the 16 and under soccer tournament. We sent a team. We have been to the finals for the past 4 years and have even won a few times. Today was our 5th straight finals appearance. Unfortunately, we were beaten by the host team. Our boys played an amazing tournament and had standout sportsmanship. We are super proud of them for playing their best, but are even more impressed with how they handled their loss. They lost with grace and after the game, accepted defeat and shook the other teams hands. The rest of the afternoon was great. All activities were well attended and everyone was playing hard. Every Thursday night we have a BBQ for dinner. The chefs grill hamburgers & hotdogs outside. We allow everyone to eat wherever they want outside and hang with one another. I love the bbq because it gives everyone a chance to hangout with other people and walk around and mingle. The night went on with free play after dinner. Campers were playing gaga, basketball, soccer and much more. Some were even just hanging out playing cards, fooseball and ping-pong in the Wolverine Den. In there they were also able to watch a baseball game on the big scream and munch on an evening snack. As it became later it was time for bed. It got quieter around campus and everyone started going to sleep. It was another awesome day at BSC, and per usual, we cannot wait for what tomorrow has in store for us.